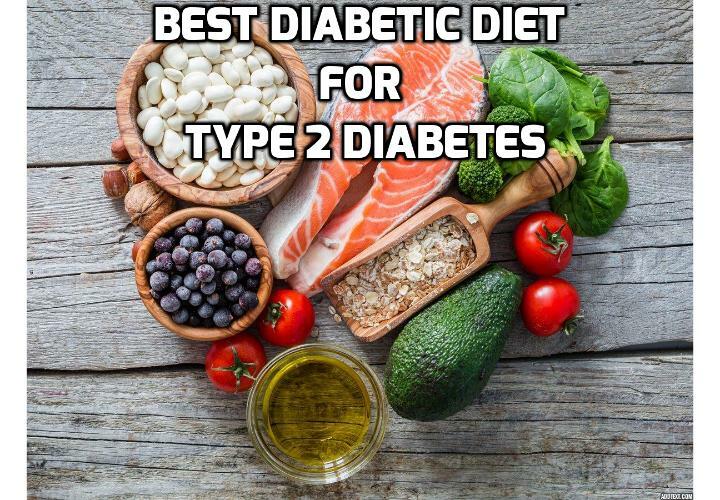 Which is Really the Best Diabetic Diet for Type 2 Diabetes? This post discusses about the hard facts about diabetes, what causes diabetes and what foods to eat or avoid in the best diabetic diet. There are 2 video clips about the dangerous foods to avoid and the top 10 foods to have in the best diabetic diet. World Diabetes Day, the world’s largest diabetes awareness campaign, is focused on Women and Diabetes. According to the International Diabetes Federation, 199 million women have type-2 diabetes, and that is projected to increase to 313 million by 2040. In fact, diabetes is a leading cause of death among women. And that’s a scary fact. Diabetes has always been a hot topic for me, because it’s a worldwide epidemic that affects everyone, not just women: It’s estimated that 552 million people could have type-2 diabetes in the next two decades. Currently, half of the U.S. population is diabetic or pre-diabetic. It’s more important now, more than ever, to get the word out on what causes type-2 diabetes, and what you can do to prevent and control it. There are two main types of diabetes: type 1 and type 2. In addition, there is gestational diabetes, which occurs during pregnancy in some women when hormone changes prevent insulin from working properly, but the condition usually resolves after childbirth. Meanwhile, both types 1 and 2 are chronic diseases that affect how your body regulates blood sugar, or glucose, which is the fuel that feeds your body’s cells. Insulin is needed to make this happens. People with type-1 diabetes can’t produce insulin at all, People with type-2 diabetes can’t control their insulin levels and eventually may not produce insulin at all. This starts with insulin resistance, and it may happen gradually over time. While type-1 diabetes can’t be prevented or reversed, type-2 diabetes can. There continues to be a compelling research-backed argument that shows that cutting back on carbs has the greatest effect on regulating blood sugar levels, because when broken down through digestion, carbs boost the body’s blood sugar levels, which prompts the release of insulin. In other words, the more carbs you eat, especially processed carbs and anything containing white flour or sugar, the more they mess with your blood sugar levels. Add in weight gain and inactivity, and this continual abuse on your body leads to prediabetes and possibly type-2 diabetes. Typically, once you get to this point, doctors tend to prescribe medication that helps manage your blood sugar levels, but I’m a big believer that better health through nutrition, not drugs, is possible. This is why a low carb diet like Atkins may help prevent and control type-2 diabetes. In fact, Atkins may be the best diabetic diet because it eliminates the huge amounts of processed carbs that have become so easily accessible here and around the world, and focuses on a way of eating that features high-fiber carbohydrates that have the least impact on blood sugar, like colorful fresh vegetables; nuts; some low- glycemic fruits, such as berries; coupled with protein and healthy fats; is effective and sustainable in managing type-2 diabetes. How to Easily Get Sleep Fast Without Fail NOW? Next PostNext Why Do I Have Diabetes, What Are the Main Diabetes Causes?